The Nigerian Army in a statement giving an update on the confrontation said, “Saturday’s incident involving clashes between detachments of the Nigerian Army, accompanying the Chief of Army Staff, Lieutenant General TY Buratai and followers of Sheikh Ibrahim El Zak-Zaky, suspected to be members of the Shiite Sect in Zaria, leading to loss of lives as a result of the Shiite group members’ blocking roads and not allowing other passers-by to go about their lawful businesses and activities, was most unfortunate. “The Nigerian Constitution guarantees the rights of any group of persons and Sheikh El Zak Zaky’s followers to hold a peaceful march or procession unhindered, but it also guarantees other people’s rights of way on public highways. The statement signed by Col. Sani Usman, Acting Director, Army Public relations said: “This cannot be tolerated and must stop! “As soon as order is restored to the situation in Zaria city and its environs, the Police will conduct an enquiry and the public will be informed. “In the meantime, the public is advised to go about their lawful business and report any suspicious persons or incidents to the police. 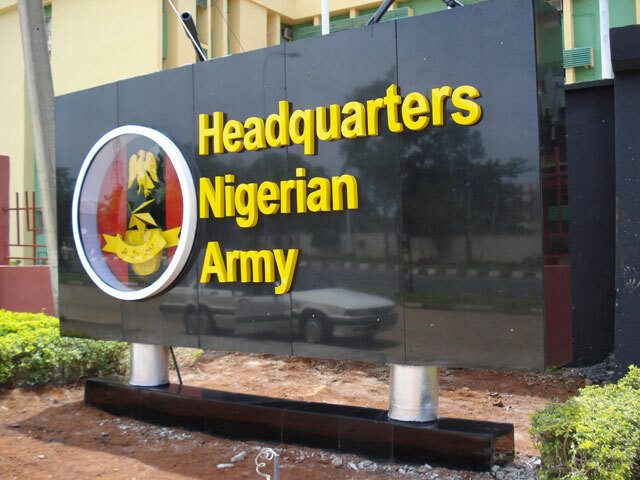 In an earlier statement on the clash, the army said that members of the Shiite Islamic sect Saturday attacked the Chief of Army staff, Lt. General Tukur Buratai and his convoy on their way to Zaria to attend the passing out parade of 73rd regular intake of Depot, Nigerian Army. The army added that the attack was a planned assassination attempt on the army boss which was repelled and that the army Chief escaped unhurt. In the ensuing shootout that followed, an unspecified number of persons lost their lives while there were injuries on both the side of the army and the Shiites. A statement by the Army had said: “The sect numbering hundreds and carrying dangerous weapons, barricaded the roads with bonfires, heavy stones and tyres. “They refused all entreaties to disperse and then started firing and pelting the convoy with dangerous objects. “The barricade was obviously a deliberate attempt to assassinate the Chief of Army Staff and members of his entourage while on a legitimate official assignment as Special Guest of Honour at the passing out parade which has earlier been widely publicized. Continuing it said, “The troops responsible for the safety and security of the Chief of Army Staff on hearing explosion and firing were left with no choice than to defend him and the convoy at all cost as well as open up the barricaded road for law abiding citizens. “This is in line with the Nigerian Army Rules of Engagement and Code of Conduct. “This kind of behaviour will not be tolerated from any individual or groups and should not be allowed to repeat itself. “We wish to implore all Nigerians to continue to be law abiding and remain conscious of other people’s right to life, freedom of movement and passage. “The Chief of Army escaped unhurt and continued with his duties.